A career as a certified pharmacy technician is a great place to start if you’re considering the pharmaceutical industry. The short-term pharmacy technician training to prepare for the position can be completed in just three months. 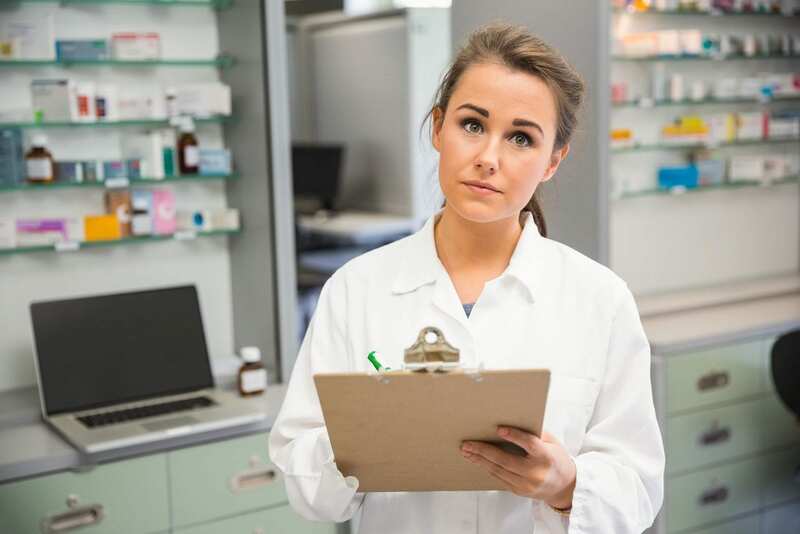 Starting as a pharmacy technician will not only help you determine if the career is a right fit but will also let you acquire the background training to become a pharmacist or another profession in pharmaceuticals. Pharmacy technicians are doing much more than dispensing medications. Their expanded role includes customer care, inventory management, billing and reimbursement, and pharmacy administration. 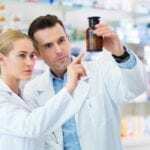 They perform much of the duties that the pharmacist performs. However, a pharmacist must check the technician’s order before it is dispensed to the patient. Due to the widening role of the technician, many employers are requiring technicians to demonstrate their competency and commitment to the profession through national certification. According to U.S Department of Labor, Bureau of labor statistics, employment opportunities for full-time and part-time pharmacy technicians will increase by 19 percent in the next decade. The need to replace retiring technicians, growth in establishments across the state and the increasing number of middle-aged residents in need of prescription medications are just some factors that fuel demand for skilled and certified pharmacy technicians. The pharmacy technician program at Middlesex Community College is designed to teach students the knowledge and skills to practice as an assistant to a registered pharmacist. The curriculum offers 60 hours of instruction in the classroom followed by 80 hours of practical experience during an externship in a real-world pharmacy setting. Graduates are prepared for success on the PTCB exam to become a Certified Pharmacy Technician. In the classroom, an experienced instructor will review pharmacy calculations, pharmacy operations, routes of administration, medical dosage forms, medical abbreviations, regulations, interpreting drug orders, and the top two hundred prescription medications. Throughout the pharmacy externship, students will have opportunities to apply the knowledge gained in the classroom to develop their clinical skills. Middlesex Community College is committed to students’ success, and includes career preparation, such as the steps to a successful interview, to help students in the job search after graduation. Classes meet Tuesdays and Thursdays from 6:30 pm to 9:00 pm for approximately three months. Applicants must have a high school diploma or GED, high school level math skills, pass a CORI/SORI background check, and provide a state or federal photo ID. Tuition for the program is $1,299. Spectrum Healthcare Training Center identifies and trains adults who have proven their dedication and potential to succeed in the fast-paced field of pharmacy. The comprehensive curriculum includes training in the classroom and lab to prepare students for participation in a clinical externship. Areas of study include pharmacy recordkeeping, pharmacy terminology, essentials of pharmacology, pharmaceutical calculations, pharmacy law and ethics, communication, and medication administration and distribution. The program’s duration is 32 weeks for day students and 40 weeks for evening students. It is approved by Massachusetts Board of Registration Of pharmacy and licensed by Massachusetts Department of Education. Graduates are prepared to sit and pass the National Pharmacy Technician Certification examination (CPHT). Job placement assistance is available for all graduates. Spectrum offers a flexible payment plan for eligible students. The pharmacy technician program at LARE Training Center is approved by the Massachusetts Board of Registration in Pharmacy. Graduates are prepared to sit the national exam to become a Certified Pharmacy Technician (CPhT). The program runs for 21 weeks and includes instruction in asepsis and infection control, computer application, computers in pharmacy, pharmacology, pharmaceutical compounds, and medical calculations. Other areas of study include introduction to pharmacology, pharmacy law and ethics, medical and pharmaceutical terminology, anatomy and physiology, infection control, drug classifications, and customer service. Applicants must have a high school diploma or GED. Job placement assistance is available for all students.